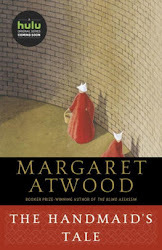 Teaser Tuesdays hosted by MizB of Should Be Reading where bloggers post two (2) random “teaser” sentences--no spoilers allowed--from their current reads to try to entice others to seek out these books. 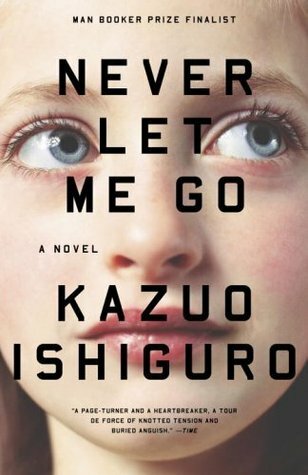 Today I'm featuring the opening paragraph from Never Let Me Go by Kazuo Ishiguro, a library book that I'm reading for an upcoming book club meeting. It's been a while since I participated in Teaser Tuesdays, and now seems like a good time to return to this meme. My name is Kathy H. I'm thirty-one years old, and I've been a carer now for over eleven years. That sounds long enough, I know, but actually they want me to go on for another eight months, until the end of this year. That'll make it almost exactly twelve years. Now I know my being a carer so long isn't necessarily because they think I'm fantastic at what I do. There are some really good carers who've been told to stop after just two or three years. And I can think of one carer at least who went on for all of fourteen years, despite being a complete waste of space. So I'm not trying to boast. But then I do know for a fact they've been pleased with my work, and by and large, I have too. My donors have always tended to do much better than expected. Their recovery times have been impressive, and hardly any of them have been classified as "agitated," even before fourth donation. Okay, maybe I am boasting now. But it means a lot to me, being able to do my work well, especially that bit about my donors staying "calm." I've developed a kind of instinct around donors. I know when to hang around and comfort them, when to leave them to themselves; when to listen to everything they have to say, and when just to shrug and tell them to snap out of it. The opening paragraph is very wordy, and it has me trying to decide whether the narrator likes to speak about herself, or is just anxious to relate her story and be heard. The only way to find out is to read on. First Chapter ~ First Paragraph #64 and Teaser Tuesdays was originally published by Catherine for bookclublibrarian.com. This post cannot be republished without attribution.